I remember just before we sold the ‘Primrose’ Guarneri viola in 2012, David Rattray invited me up to the Royal Academy of Music in London as he thought it would be an interesting idea to see it side-by-side with the ‘Josefowitz’ Guarneri viola then on loan to the Academy. I think I can speak for David as well when I say that we were awe-struck to be in the presence of these two formidable instruments. A few weeks later I was in Tokyo, where Nobuko Imai, who plays another Guarneri viola, was leading the jury of the 2nd Tokyo International Viola Competition. The similarity of the ‘Josefowitz’, the ‘Imai’ and the ‘Primrose’ is so striking that it’s easy to imagine they were made at the same time and from the same logs. 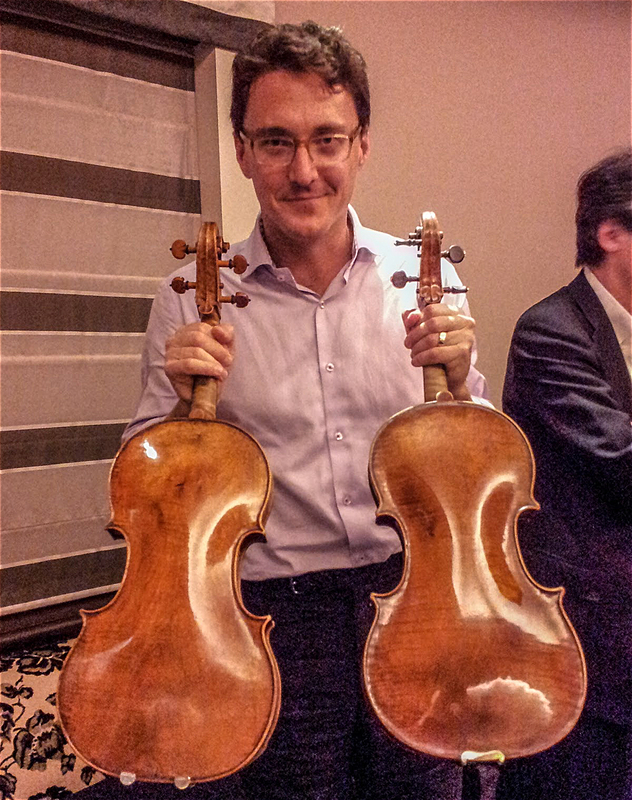 Astonishingly, these three instruments are among just seven surviving Guarneri violas. Without a doubt, these seven violas are among the most highly coveted of all musical instruments by modern players for their power, projection, dazzling virtuosity and rich sonority. In March 1925 the Hills wrote that they knew of only three violas by Andrea Guarneri,  which from provenance we can work out to be the ‘Conte Vitale’, the ‘Imai’ and the ‘Primrose, Lord Harrington’. By the time they published their seminal study of the Guarneri family in 1931 they wrote that they knew of four violas. Today we can raise that number to seven. 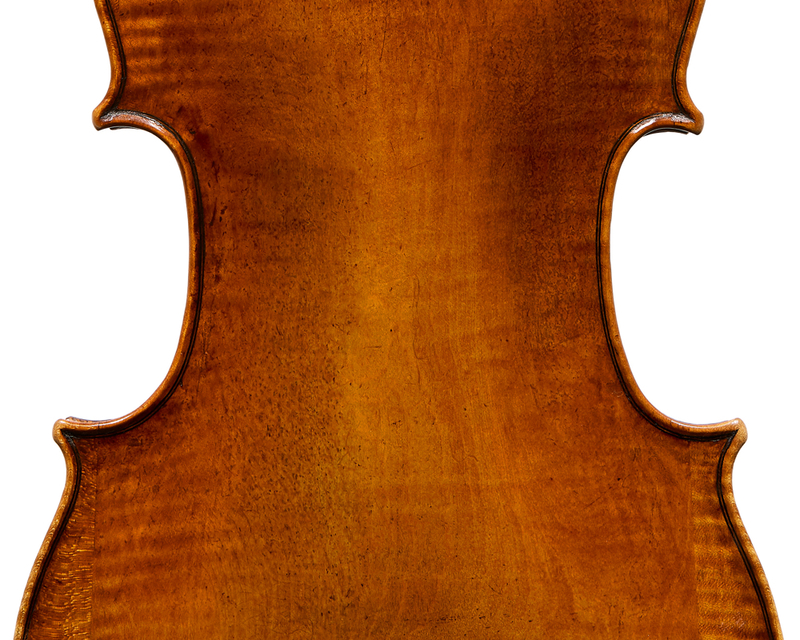 There is another unaccounted for Guarneri viola – a reduced tenore, which Count Cozio notes in 1816 that he purchased from Professor Pietro Bertuzzi. Cozio’s description of that viola doesn’t seem to match any of the seven we know, so perhaps someday that too will be rediscovered. 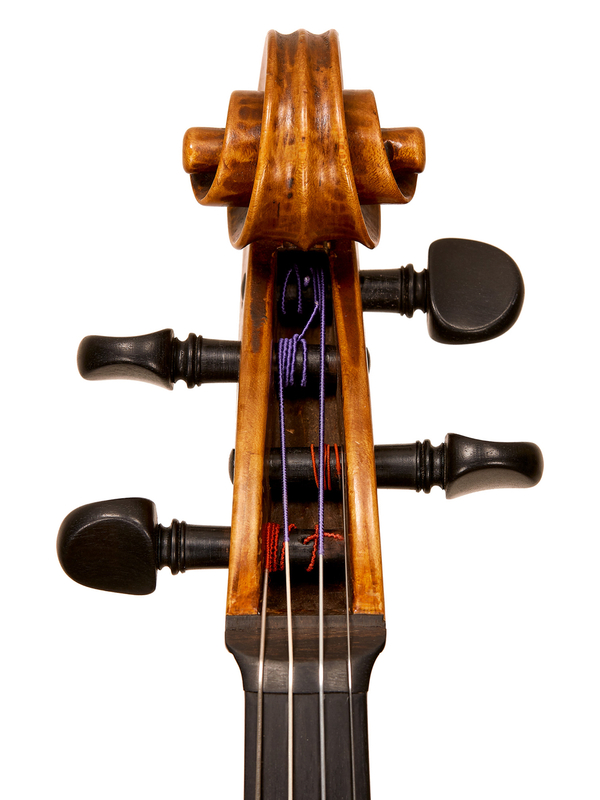 This ‘Josefowitz’ viola was made in Cremona in circa 1690. It was made while the Guarneri shop was under the control of the paterfamilias, Andrea, who in the last decade of the 17th century turned 70 years old. But like the ‘Primrose’, the ‘Josefowitz’ is essentially the work of Andrea’s son, Giuseppe ‘filius Andreae’, whose characteristic style can be seen in the edgework, the soundholes and the arching of this magnificent instrument. The ‘Josefowitz’ first appears in 1962 in Freiburg, Germany, where it was certified by the dealer Hans Schicker. Ten years later it was sold by Max Möller to a German doctor from Wuppertal by the name of Hans Specht. In 2001 it was taken in by my colleagues at Sotheby’s during an evaluation day in Cologne. Together with David Rattray, they arranged for it to be purchased by David Josefowitz, whose extensive collection was on long-term loan to the Royal Academy until 2014. The back of this exceptional instrument is formed in one piece of slab-cut maple with wings in all four bouts. Small knot figurations ornament the upper treble and lower bass bouts. 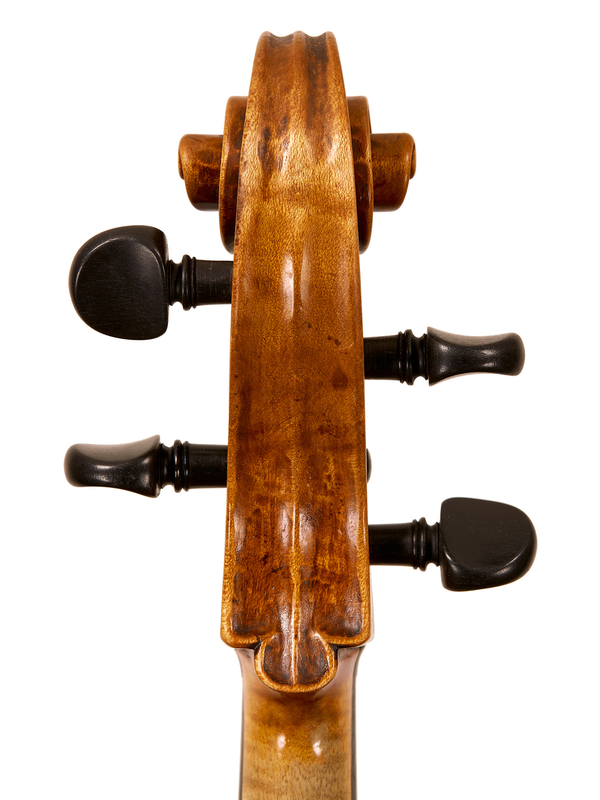 The back measures 41.3 cm, which to modern violists might as well be the ideal length. The arching is moderate and ever-so-slightly hollowed at the C-bouts. Two large maple locating pins are set just inside the purfling of the back. As on the ‘Primrose’, the edgework is narrow and tidy, and clearly shows the hand of Giuseppe ‘filius Andreae’. The fine corners and the precise purfling with its narrow black strands foreshadow the great ‘filius’ violins from the first decade of the 1700s. The front is in two pieces of fine-grained spruce with a big knot in the middle of the lower treble bout. As with the ‘Primrose’, the arching is slightly higher and less hollowed on the belly than on the back. The soundholes betray the hand of Giuseppe ‘filius’ with their narrow, upright, spindly stems, their slightly tapered wings and their pronounced triangular notches. The scroll is from the period but not original to the instrument. Some have speculated that it resembles the work of another Amati pupil, Giacomo Genaro, but a definitive attribution remains elusive. The varnish is a warm and beautiful golden-brown color with shades of red and yellow and a clarity one sees in the finest Cremonese instruments. 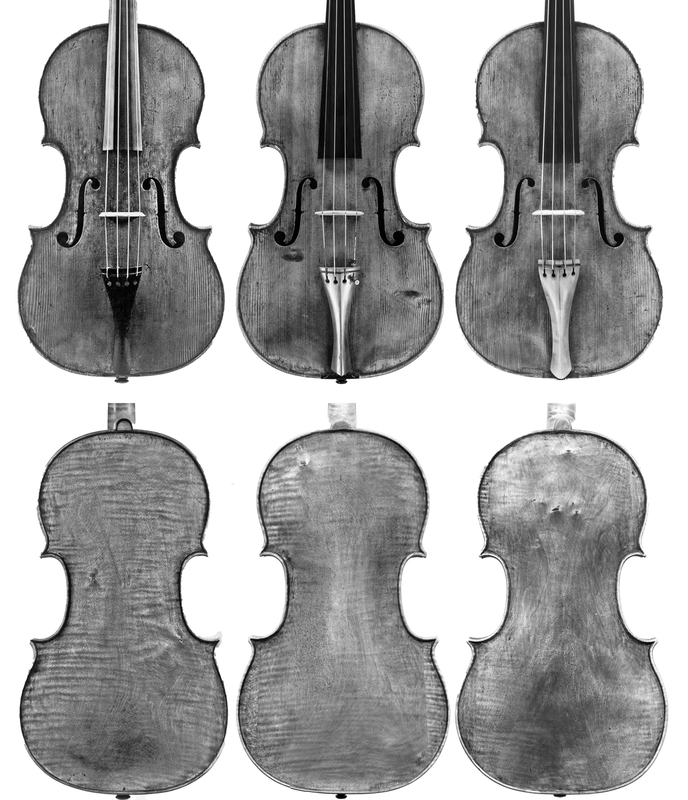 1660-80 ‘Russian State Collection’ Believed to be the earliest Andrea Guarneri viola, this instrument forms part of the Russian State Collection. Dated to c. 1660 but possibly made as late as 1680, it is notably of the same contralto model that was used by Andrea in the 1690s. 1664 ‘Bisiach, Witten’ One of the best-preserved classical Cremonese instruments in existence, this exceptional viola is now housed in the Shrine to Music Museum in Vermillion, South Dakota. The viola retains its original neck, fingerboard, pegs, tailpiece and end-button. With a back length of 48.2 cm, this great tenore viola was thankfully never cut to a more practical size. 1670 ‘Zukerman’ This c. 1670 composite contralto viola is currently in the possession of the great Israeli–American violinist, violist and conductor, Pinchas Zukerman. 1676 ‘Conte Vitale’ The 1676 ‘Conte Vitale’ is perhaps the most copied viola in the history of instrument making. Thanks in part to John Dilworth’s comprehensive article in The Strad in June 1989 and to the poster printed by The Strad in 1997, this viola has inspired hundreds of modern makers and has perpetuated the Guarneri contralto model. It is currently in the possession of David Fulton, whose collection of fine Italian instruments is arguably the best of his generation, and among the most sophisticated of all time. 1690 ‘Josefowitz’ In 2001 the Russian-born violinist, inventor and collector of fine instruments David Josefowitz had the opportunity of a lifetime, the chance to buy a Guarneri viola. According to David Rattray, then the curator of the Royal Academy of Music collection, Josefowitz was the best client it could have gone to because he understood the historical importance of the instrument and was committed to making this and the other instruments in his possession available to deserving students of the Royal Academy. 1690 ‘Nobuko Imai’ This was one of three Guarneri violas known to the Hills in 1925 and since the early 1990s has belonged to the great Japanese viola soloist and chamber musician Nobuko Imai. 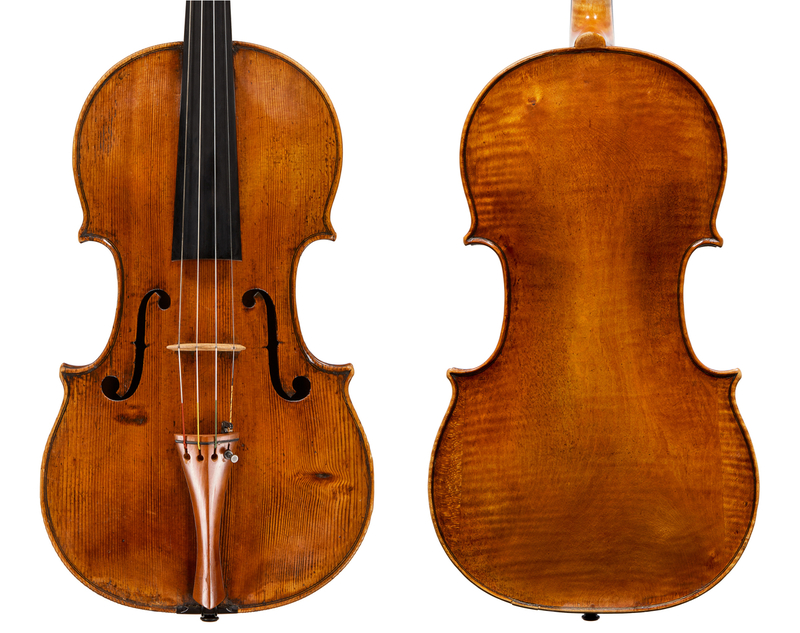 1697 ‘Primrose, Lord Harrington’ Sold by Tarisio in 2012 for a record-breaking sum, this Guarneri viola has a long and celebrated history. Its first known owner was the English pen manufacturer, Joseph Gillot, or the ‘Birmingham pen-man’ as the Hills referred to him. Gillot had a fine collection of classical Cremonese instruments which was dispersed in a historic auction at Christie’s in 1872. Charles Windham Stanhope, the 7th Earl of Harrington, another notable collector, owned the instrument until 1925, when it was sold to Antonio Antoncich in Valparaiso, Chile. In 1954 it was purchased by William Primrose, perhaps the finest violist of the 20th century. The viola was sold by Tarisio to an anonymous buyer in a private auction. Jason Price is Tarisio’s expert and director. 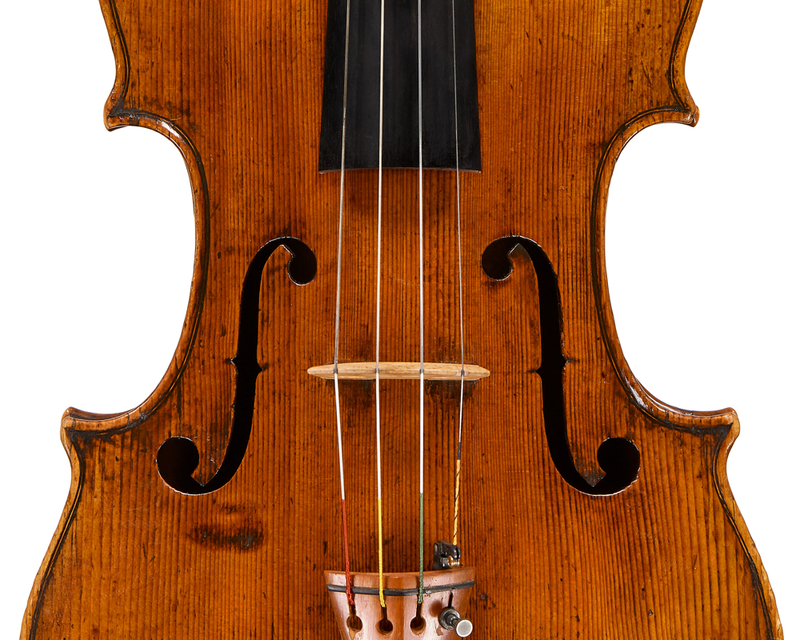 The ‘Josefowitz’ viola will be sold in Tarisio’s May New York auction. Catalog online from April 10. Why are there so few classical Cremonese violas? There were more violas made in the first quarter of the 17th century in Brescia and Cremona than in the century and a half that followed. 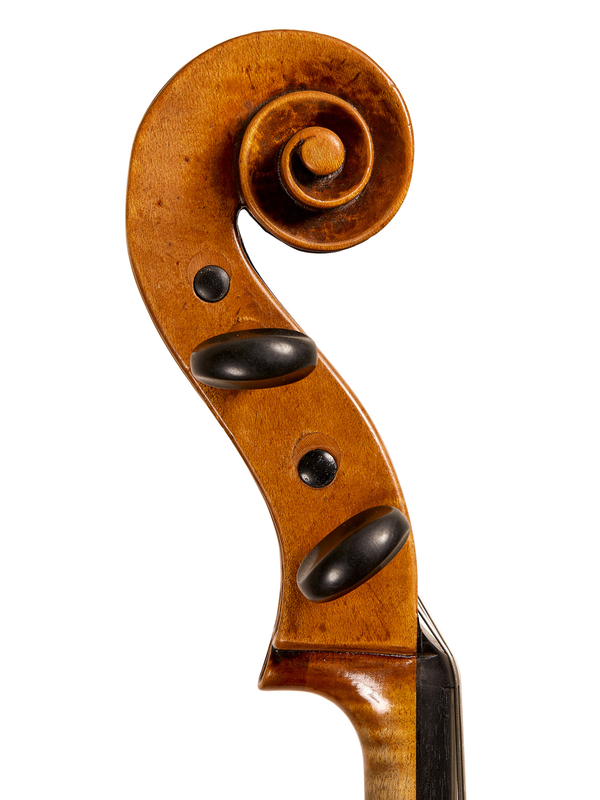 Makers like Maggini and the Brothers Amati had dedicated a substantial proportion of their output to the making of mostly larger-sized violas. But at some point around the middle of the 17th century the production of violas in northern Italy dropped. The explanations for this are varied, but the most likely factor was a decline in demand. Violas were, simply put, out of musical favor in the late-17th and early-18th centuries. Some of this can be explained by the rise in popularity of the trio sonata. Composers throughout Europe from Corelli and Vivaldi to Handel, Bach and Purcell embraced this new musical form and wrote volumes of small chamber works or larger concerti grossi for this new format. Typically the trio sonata was written for two soprano parts – usually violins – and a basso continuo comprised of a violoncello or bassetto and a harpsichord or organ. Unfortunately, nowhere in this new format was there room for the middle-voiced viola. Hill, Alfred, Diaries, March 25, 1925. Hill, W.H., A.F. & A.E., The Violin Makers of the Guarneri Family, 1931, p. 13. We’ll exclude from this list a cornerless tenor viola and a handful of violas d’amore by Pietro of Mantua. Cozio, Count Ignazio Alessandro di Salabue, Carteggio, October 13, 1816.